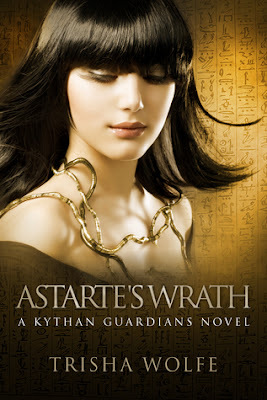 Astarte's Wrath started out as a full blast of tension: war, fear, uncertainty. However, Trisha Wolfe lightens the story with a beautiful romance like no other, filled with hope and strength. Astarte is a Kythan guardian, charged with the protection of the Queen of Egypt's son, Caesarion. While Cleopatra is overseas fighting the King Octavian's Roman forces, Astarte wars within herself. Her race, along with the Naroclym, have been slaves to Pharaohs for centuries. It's in her blood to obey every command even when it comes from her best friend. As Astarte struggles with her forbidden feelings for Xarion and her determination to loyally protect and serve him, she learns of a new foe against Egypt. As Astarte's Wrath continues in Wolfe's flowing and passionate writing style, the story comes alive with meaning and purpose. Though I have yet to read Destiny's Fire, another Kythan Guardians novel, I can feel that I won't be lost when I finally delve into it. The whole dynamic between Egypt and Rome, the Shythe, Narcolym and Kythan people becomes clearer as Astarte's story takes off. The intro was a very intriguing starting point to introduce one of the main concerns of the plot, but I felt so lost jumping into so much of the history of the story so quickly. I really didn't understand at first, but I loved that Wolfe kind of breaks down the situation further along so as to not keep readers confused. Astarte and Xarion's romance was every bit of tragic, but I would not ask to have anything about it change. It had all the emotions of a classic forbidden love but with a twist stemming from the story's mythological set up. Do not hesitate to jump into the Kythan Guardians series at this point! I truly believe that readers will experience a world that will leave them begging for more! She's the creator of YA Bound, a promotional site for the Young Adult genre. Also a member of SCWW and The Apocalypsies. 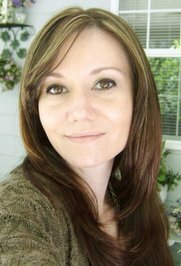 Check out www.TrishaWolfe.com for more on her books and bonus material. 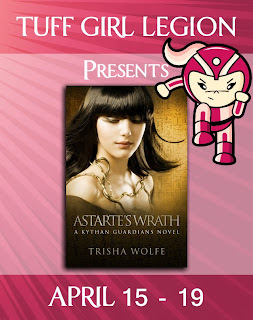 Follow Trisha on Twitter @TrishWolfe and like her Facebook page for updates. Thank you so much to win this. And the book sounds really great. Awesome sounding book - already on my wishlist for my next order!